Sixty-four bottoms sitting in a row….? Anyway, the illustration doesn’t show any provision at all for the wiping of bottoms. How did they manage? Just do their business and then walk away? Hmm, the consequences of that don’t bear thinking about. Our fastidious modern selves would have the vapours. Erm, in a manner of speaking. Then, of course, those fragrant facilities had to be emptied – as described by Tony Robinson in his Worst Jobs in History series. Sometimes it wasn’t necessary, for example in the public loos overhanging the Thames, which carried their ‘business’ downstream…and then upstream again, and then downstream again, and so on, as the tides chose. So what was convenient and reasonably hygienic at the place of origin, soon became a much greater problem courtesy of the Thames. It continued until a sewage system was built in the 19th century. At huge expense. https://en.wikipedia.org/wiki/London_sewerage_system Then, eventually, the Thames ceased to stink, and the need for delightful little scented posies/nosegays was no longer necessary in Parliament. Well, not to fend off the stench from the Thames…the garbage issuing from some speechifying was another matter. Naughty, fun-loving Henry and the young dancing lady….? We all have this picture of Henry VII being a Scrooge, and I don’t think it’s inaccurate. But it seems he had his more red-blooded moments. Yes, truly. I have happened upon the following article, which quotes from his personal accounts. Just why did he make the following grants? Hmm. £12 is enormous enough, but £30 is astronomic! Just for dancing? My suspicious mind suspects there was a little more to it. Naughty Henry? Well, anything is possible. Anyway, the whole article makes interesting reading. A Richard III Easter Egg. . .? On reading this article, my thoughts followed their usual wayward course, and I found myself imagining a solid Easter egg with an image of Richard. EAT IT? Never! It would be displayed in splendid perpetuity. The Conisburgh Manorial Court Rolls…. I’m afraid I wouldn’t be capable of reading the original entries in these rolls. My interest, as those who know me are only too aware, is the late mediaeval period, specifically Richards II and III). I would dearly like to be able to understand the source material for “my” period, but haven’t the know-how. But, if you go to the third link below, you see modern translations. Excellent for us all. Isn’t it amazing to think such a complete record has survived? If only—if ONLY!—the same could be said of all the records for Richard III. Unfortunately, the Tudors did a very thorough job of making things “disappear”. Including Richard himself, but he’s been found again now, and it’s Tudor reputations that are on the line. Hooray! To see much more about the rolls and the translations, go here. Down in the Forest, something stirred…. Even for Richard, wild boar were a memory. Does this mean that because of their reintroduction to England, we can see what he never did? The above photograph was taken in the Forest of Dean, which isn’t far from where I live. My daughter and granddaughter had a confrontation with two adult boar and two piglets/hoglets, and that was bad enough. The thought of a whole gang as above doesn’t bear thinking about! The Forest is teeming with them, so walk there with caution. Small wonder Richard chose such a ferocious creature as his emblem! An excellent article about Richard, but some weird ideas amid the comments…. Here is another fine article by Matthew Lewis, concerning whether or not Richard III was a villain, or a good king. Matt is, as always, excellent to read, and puts forward the strong case that Richard was good. Well, we all know this to be so, but some of the comments following the article are a little inaccurate, to say the least. I think not! She was bundled off to Bermondsey Abbey (a male monastery), and her lands and so on were handed over to her daughter, by then Henry VII’s queen. Henry did not treat Elizabeth Woodville kindly, and she lived on a mere allowance. She was far from wealthy when she died, as she stated in her will. Henry Tudor was not a loving son-in-law, but a spiteful one. Richard had great cause to dislike Elizabeth Woodville, but nevertheless treated her well. More remains found, but pre-Richard…. Human remains are being discovered everywhere, it seems. Richard III appears to have started a fashion. But no, I should not make light of it. This poor priest suffered greatly before death. The REAL Elizabeth of York….? Well, folks, here’s something to boggle you. The story of the real Elizabeth of York. Real? What you get is a lucky dip of some fact and a LOT of pure invention. If it made clear that it was fiction and pure White Princess, all well and good, but it doesn’t. It purports to tell you the truth about Elizabeth. Anyway, if you want to laugh or cry (you can do either) then this is just the thing for you. Was Richard II a fourteenth-century Peter Pan….? Richard II is my second favourite king (you all know who’s first!) and both are controversial, albeit for very different reasons. One of the charges against Richard II is that he was something of a Peter Pan, and did not want to grow up. He had portraits painted depicting him as a boy, when he was a mature man. He did not grow a beard until well after the customary time, and he was criticised for his devotion to clothes, luxury…the very things in which we’d all like to indulge. Whether he was a Peter Pan, though, is open to question. There has been much speculation about his marriage to Anne of Bohemia, with a frequent remark being that they were more like brother and sister than husband and wife. Historians have hinted that his desire to stay young meant that he had to preserve his virginity. The fact that there was, apparently, no sign of Anne being pregnant, seemed to uphold this view. He was broken-hearted when she died, but then, they said, a devoted brother would weep for his sister. So it would seem that the marriage of Richard II and Anne of Bohemia was perfectly normal. What’s more, they loved each other. Their heartbreak was that they did not/could not have children. Not that they would not. What a difference such a child might have made to history. No Lancastrian or Yorkist kings…no Tudors! Was the condemnation of George of Clarence a significant example of the abuse of attainder?…. The following is an extract from ‘His Grace the Steward and the Trial of Peers’, by L.W. Vernon Harcourt. “The Duke of Buckingham was appointed steward of England to pass sentence,4 but execution was for some little time delayed: it was, to be sure, only seemly that the king should exhibit some reluctance about putting his own brother to death. “Drowned in Malvesay.” Chronicles of London, ed. Kingsford, p. 188. So, now the questions. 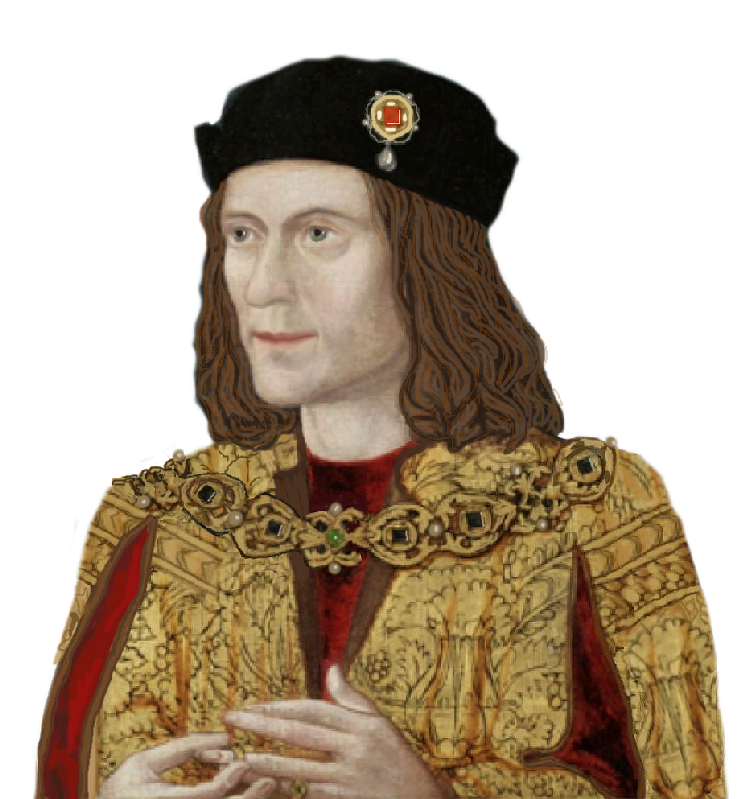 Was the attainder of George of Clarence, the brother between Edward IV and Richard III, improper/irregular enough to be questionable in law? Was the court packed with false witnesses? Did Edward have so little real evidence against George that he had to bend the rules? The king had his way back then, of course, but in the present day, could a good lawyer present a convincing case for a mistrial? George might still be attainted and condemned in a second trial, but Edward would have to take more care. And, who knows, he might even have second thoughts about committing fratricide. And finally, if the original trial was sufficiently improper/irregular, and therefore not lawful, would it mean that Clarence’s son, Edward, Earl of Warwick, was the rightful and legal heir of Edward IV, not Richard, Duke of Gloucester? I do not believe for a moment that Richard thought any such thing. He saw himself as the rightful king and acted accordingly. In good faith. But L.W. Vernon Harcourt has made me think. Postscript 26th April 2017: I am adding this because it suggests to me that L.W. Harcourt Vernon is correct to question the legality of George’s trial, because the Commons thought so too. In Judicature in Parlement by Henry Elsyng, Clerk of the Parliaments, I found the following. (Apologies for the Latin, which I can only vaguely follow, but the paragraph that follows it more or less explains. “Here let us examine, for what illegall proceeding the Commons required this cause to be herde agayne. The author says, none argued against the Duke but the Kinge. This the commons helde to be against Lawe, That the Kinge Himselfe shoulde enforce either Article or Testimonye against a delinquent in a Capitall cause: for yt is inconvenient, that He, whoe is to have the fortfeiture of lyfe, Landes and goods should be accuser, wyttness or Judge. The Commons were present at this Tryall, and considering of the Inconvenience herof, they retourned & made this request, ut supram.